How Can I Teach Latin When I Don't Know it Myself? How Can I Teach Latin When I Don’t Know it Myself? 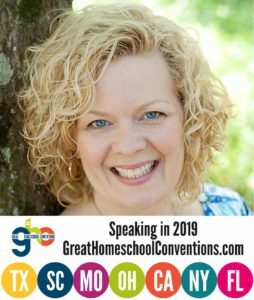 Most of us begin our classical education journey like this: at some homeschool conference we stumble into a talk that sounds interesting by Dr. Christopher Perrin or Andrew Pudewa. Excited about all the wonderful things we hear and learn, we quickly attend every classical session at the conference and purchase a few difficult to read thought-provoking books. We are enthused! We are excited! We are going to teach our children truth, goodness, beauty. I can hear you now, because I was exactly the same way. I strongly believe in the need to learn Latin, and yet I struggle with the idea of teaching it. How am I supposed to impart Latin knowledge to my children if I did not have that knowledge myself? In truth, that is impossible. At some point I will likely outsource the teaching of Latin in my home to a local tutor or one of the excellent online classes. For now, though, I have chosen to become a student of Latin myself, learning alongside my children. Here’s how I am doing that. Brush up on your English grammar. One of the most important things you can do to prepare to learn Latin with your children is to do a little self-study of English grammar. If it has been years since you picked out a direct object in a sentence or studied verb tenses, then you will ease your frustrations greatly by doing a review. One book series I highly recommend for foreign language students is English Grammar for Students of Latin . I used the Russian edition of this book for my college Russian courses, and I daresay I learned more English grammar from that experience than any other study of grammar in my lifetime. The little books are packed with information, clear explanation, and examples. In our family, everyone is studying Latin except for Dad (hmmm… I may need to remedy that). 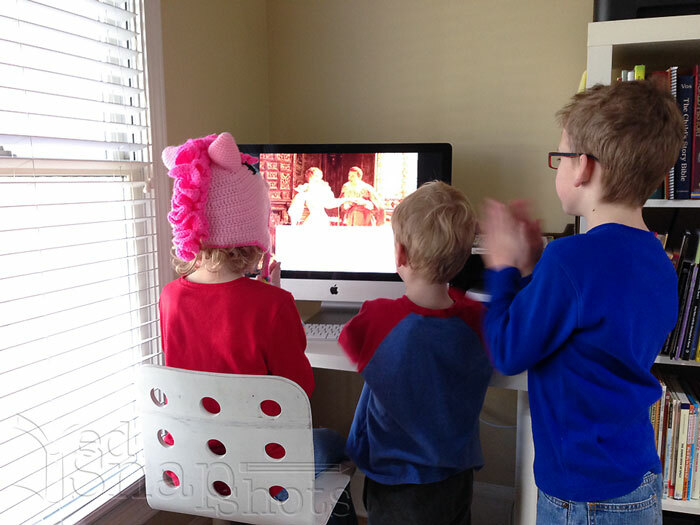 The five-year-old mostly listens in on everyone else’s lesson — in fact everyone listens in on everyone else’s lessons. Song School is a fun introduction to Latin vocabulary using words and phrases relevant to a young child. And the songs are awesome! Everyone loves to sing along. Just recently Olivia (9) and I (none ya’) started studying Latin together with Latin For Children Primer A. The program comes with DVDs that include kids chanting the Latin vocabulary and grammar, a video grammar lesson taught by Dr. Christopher Perrin, and a fun video tidbit that keeps kids anxious to watch to the very end. Everyone in the room stops what they are doing to join in on the Latin For Children chants as they are played. Even the boys are chanting and storing those Latin bits for use later when they begin the program. The chants in both programs also come on CD, so they can travel with you on your daily errands or to grandma’s house. Did I mention that Latin For Children had a video teacher? I did? Well let me say it again, because that is my absolute favorite part of the program. Dr. Perrin gives a whiteboard lesson of the grammar concept included in each Latin For Children lesson. This gives me a good grasp on the concept so I can further explain it to Olivia as needed. Nothing gives a mom confidence like a little bit of knowledge and those DVDs really help. Engaging kids lead the Latin chants while using fun hand motions. The LFC activity book includes puzzles, codes, and other activities that reinforce vocabulary and grammar concepts. Headventureland.com, CAP’s online Latin practice portal provides games for review. I love the fact that there are so many different ways that Olivia can repeat and review the information to solidly cement it before we move on with a chapter. She begs to do this one each day. CAP’s creative use of video, animation, and storytelling brings Latin into the 21st century and makes it cool. 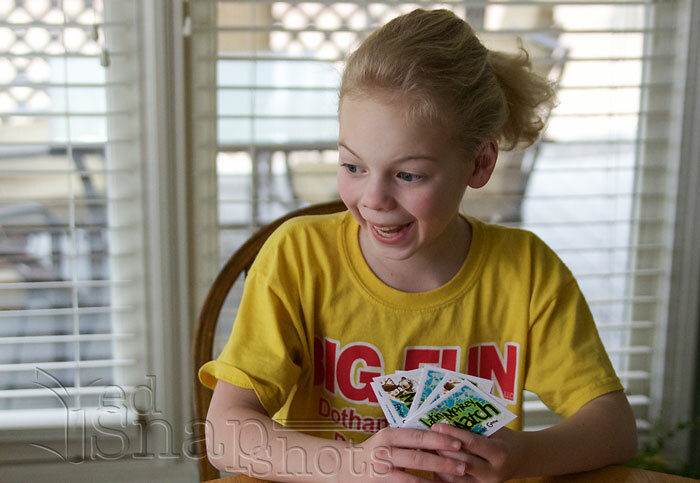 Fun card games like Latin Monkey Match make review painless and enjoyable. Seriously — everything I ever wanted in a Latin program and more. I know there will come a time that between meals, laundry, and other lesson plans, that I will no longer have the ability to keep up with the Latin studies around here. Then one of CAP’s online classes will beckon. For now, though, I am enjoying learning Latin almost as much as the kids are. I received a copy of Latin For Children for review and evaluation. The opinions expressed here are my own. Linked with Trivium Tuesday at Living and Learning at Home. Click over for more great classical posts. 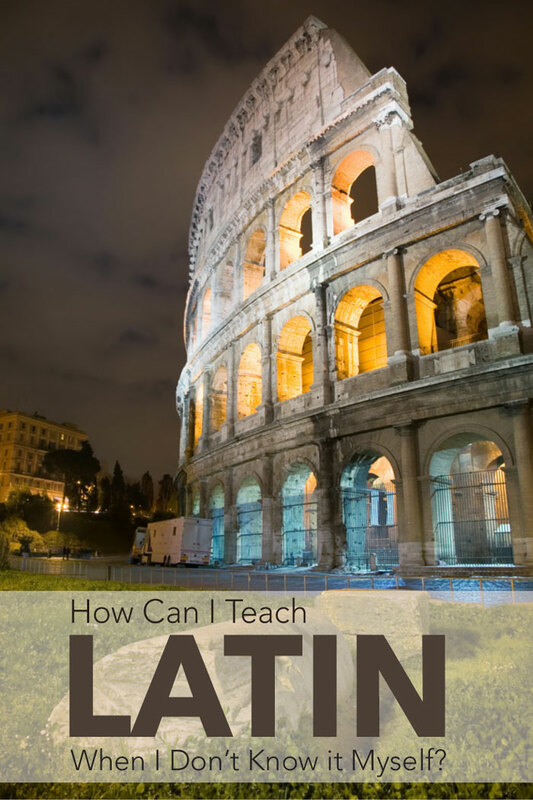 Latin IS very intimidating, but I found that if I was diligent and kept up with my kids, then it wasn’t quite so bad. 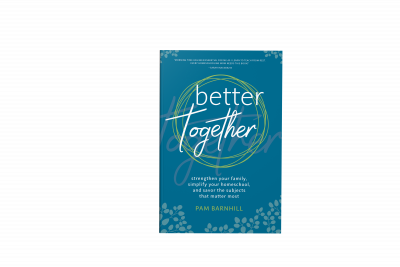 The key is to finding the resources that work for you and then sticking with them — thanks for all of the great recommendations here, Pam! Yes! Find what you like. So very important, Mary. I’m glad you wrote this, because …. ugh. LATIN! I was all set that I didn’t need to teach the kids Latin until I heard a talk by Paul Schaeffer of Memoria Press a few years ago. 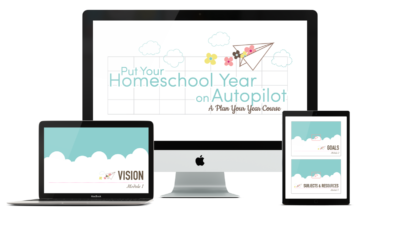 We’re Latina Christiana students, but we use Headventure for a review and love it. My kids run around singing the “Amo, amas, amant’ chant and laughing at the end. Yes! We memorize prayers in Latin too — the Sanctus, the Gloria, the Our Father and the Table Blessing. And that Amo song does get stuck in your head! Oh, and I FORGOT to add that I’m learning, right alongside them, which is good for everyone. And you’re right – Dad needs to learn Latin, too! We just recently started Sing Song Latin for my 8 & 6 year olds but my 3 year old loves it too (much to my surprise!) I have always wanted to learn Latin so I’m enjoying learning along with them! Don’t you just love that!? Those little guys are absolute sponges. Oh I am sure keeping up is hard to do! If I might make a suggestion, you might want to look into Song School Latin 2 for your 8yo. It is a great introduction to the grammar and additional vocabulary. My son will definitely go there at age 8 before trying to tackle LFCA. 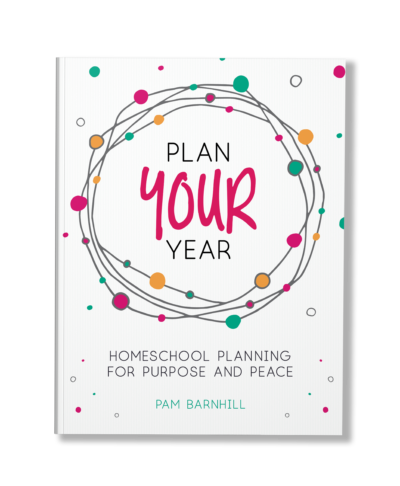 Thanks for the suggestion, Pam. I’ve found that trying to memorize things to music actually doesn’t work well for my kids and they really don’t like it. It’s strange, but the only person who has the songs get stuck in my head is me! 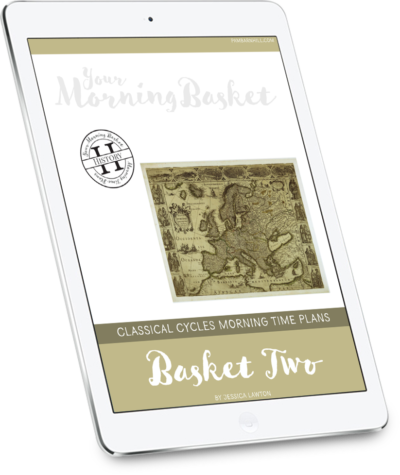 We do the Latin declensions as well as Latin prayers as part of our memorywork though, so I think that should be a big help for him when he gets started. I love LFC, and I have 3 boys studying under Mr. Perrin’s guidance, so we are using Primer A,B, and C. I really struggle with watching the dvds and investing the time to learn it along with them. My eldest has a love for learning and I could get away with having him do stuff on his own when he was in Primer A. (Too busy doing Shurley English with each kid and keeping up with everyone’s math!) For, the most part, if they get stuck on anything, we are in trouble. I can tell them what the answer key says, but don’t ask me how they are supposed to know it! I wish I had made it a priority from the beginning. I also wish there was an online group or forum that I could feel free to ask questions on! That would save us a few tears and the dreaded “You will have to ask your big brother to help you.” (Oh, the horror!) But, we are sticking with it at least through Primer C for all 3, and maybe somehow I can come up with the time & discipline to really learn latin too. You know that online group is a great idea. I wonder if you could find that help at classicaleducator.com? At any rate I know CAP would welcome a call with questions anytime. I have found them to be very helpful in that regard. We just started Song School Latin Book 1 for the 9 and under crowd, and Latin for Children A for my 11 and 13-year-olds. We are loving Latin this year! I, like so many, had the wild ambition of grabbing a Latin curriculum, learning it myself, and then teaching the kids. Didn’t happen. I have a pretty good grasp of language, but I just didn’t put in the time and was always wishing my kids were studying Latin, but had no idea where to start. This year, oh my…the baby says, “Good” when someone asks her “Quid agis?” The toddler asks for water “amabo te, Mater?” Oh, and the big kids are learning a lot and loving it. My 9-year-old isn’t sure she wants to move up to LFC just yet. I’m not sure what I’m going to do. She would probably love doing both, so maybe SSL2 and LFC, but slooooooower paced? What do you think? I think you should take a good look at Song School 2. I have seen it and would have no problem using it with a Song School-loving ten year old. There is plenty of time to move to LFC. Oooh, thanks for the suggestion. I’m guessing that SSL2 is going to be a good fit. She’s my kid who gets really stressed if she doesn’t understand something and shuts down. I want to make learning Latin pleasurable! Can I offer my two cents? We are using SSL2 right now and it is just perfect. I love that it is still fun, but it is getting into real Latin grammar (as opposed to just the vocab of SSL1). We are conjugating, learning rules, etc. My guess is that if you did that next year, your daughter would feel confident moving into LFC and even already understand a lot of the concepts.